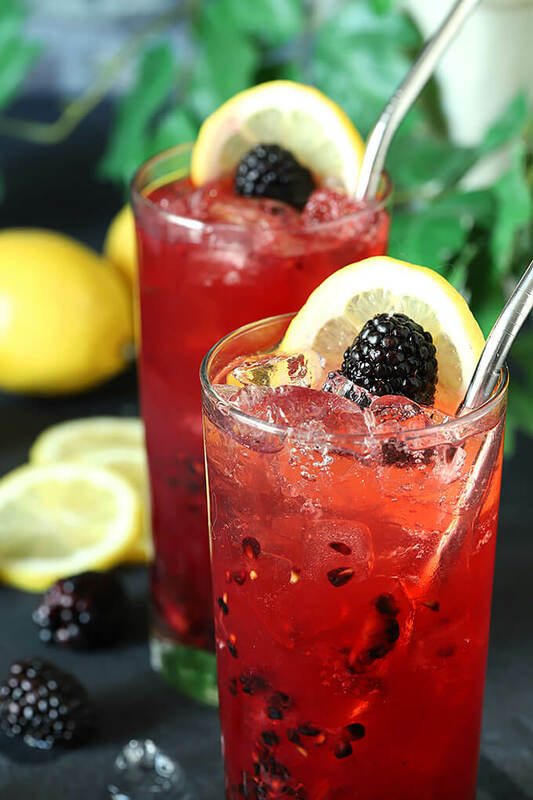 The Blackberry Bourbon Collins cocktail could be the mainstay of your warm weather drinking; it’s a simple blend of blackberries, bourbon, simple syrup and lemon; change the fruit to whatever is freshest and mix it up all summer long! OK, so this might be a stretch to call it a ‘Collins’ cocktail, referring to a Tom Collins which is a great basic drink consisting of gin, lemon juice and simple syrup. But hey…it’s got the booze, even if it is bourbon, the lemon juice, and the simple syrup, so for me it works (but I’m easy!). This is a weird cocktail time for me and I blame it on the Rocky Mountains. Nestled at the base of the Rockies, Denver and it’s surrounding areas, including the suburb of Castle Rock where I live, always is forced to deal with a most fickle spring. One day warm and the next day a blizzard. Last week we saw a record at 79 degrees and the next day it was in the 20’s…BRRRRR!!! Despite having lived her for 30 years, I seem wired to the years of growing up in St. Louis and my young adult years in Raleigh, NC. Warm weather was a given by about April 15th and I’ll probably always be more impatient this time of year than a Denver native; flowers should be blooming, not blizzards! So today has a distinctive chill in the air and I’m sharing a decidedly warm weather cocktail. Let’s call it wishful thinking? Sunday is supposed to be warmer and I need that…my yard is crying for spring cleanup but my tootsies need it to be warmer than 45 degrees! So I’ll wait and dream and make things I wish it was warm enough to enjoy; I’m sure those days will be regulars here soon. PLEASE? Oh, and before I forget…I want to reiterate what I mentioned in the blurb at the top of the page. 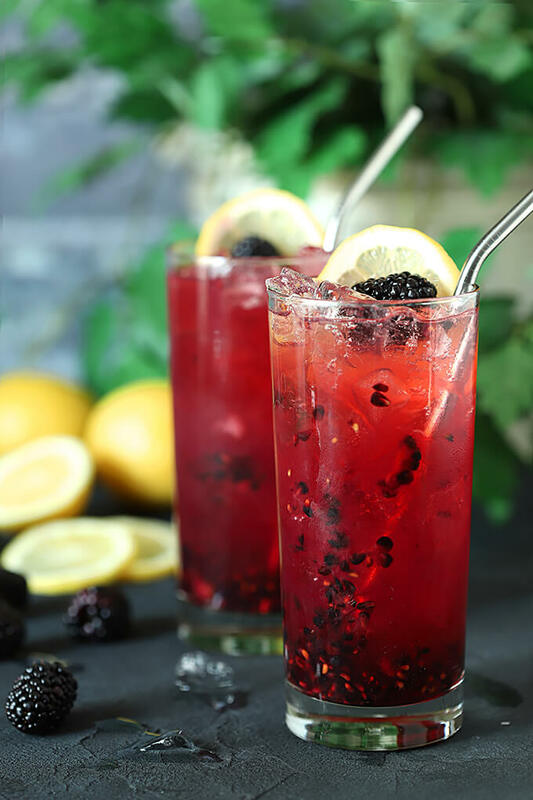 This mixture minus the blackberries is the epitome of a cocktail that you can fiddle with all summer long. Imagine strawberries, or blueberries or how about fresh, ripe, summer peaches with the bourbon and lemon combination? You can bet I’ll be trying that one! Cheers! Love to have another sort of Blackberry Tom Collins cocktail? 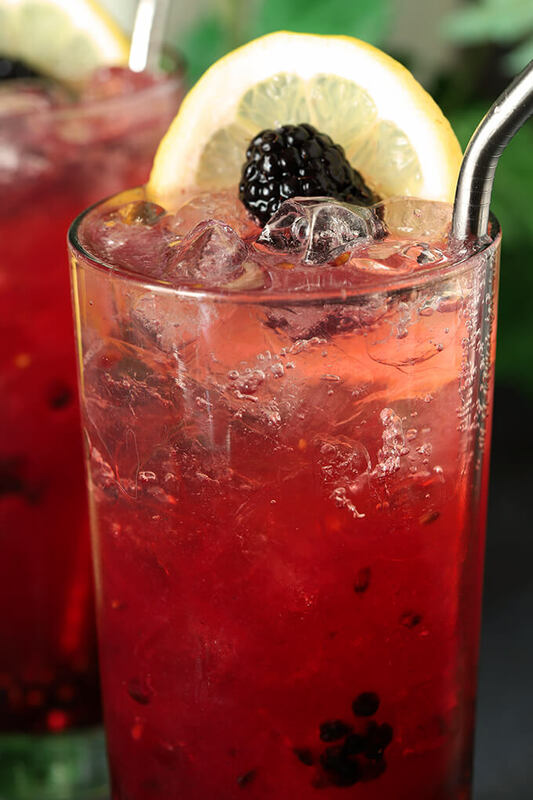 Try this Blackberry Collins Cocktail with St. Germain Liqueur; I may have made it for the holidays but it would be another great summertime beverage. The post Blackberry Bourbon Collins Cocktail appeared first on Creative Culinary. Denver, CO food blogger featuring food and cocktail recipes.